This “Odd-tober,” PBS KIDS invites families to celebrate Halloween all month long, with spooky new episodes of their favorite shows, new games and a wide array of activities. On October 23, PBS KIDS will premiere ARTHUR AND THE HAUNTED TREE HOUSE on PBS stations and the PBS KIDS 24/7 channel and live stream. In this special movie event, Arthur and his friends encounter a variety of tricks and treats during one of the spookiest Halloweens ever. Additionally, PBS KIDS will premiere new Halloween-themed episodes from ODD SQUAD, SPLASH AND BUBBLES and CYBERCHASE. 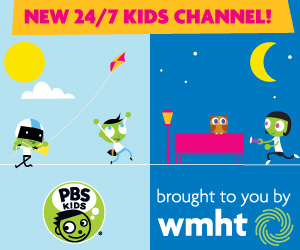 New this year, beginning Friday, October 13, families will be able to watch Halloween episodes and specials every weekend through the end of the month during PBS KIDS Family Night on the PBS KIDS 24/7 channel and live stream. The spooky fun continues on digital platforms, where PBS KIDS will offer a variety of Halloween-themed games on the free PBS KIDS Games App and pbskids.org, including new games from ARTHUR and CYBERCHASE. These will debut in addition to favorites such Curious George Pumpkin Boo, the Cat in the Hat Corn Maze Craze, Daniel Tiger Dress Up and Peg + Cat Parade. A new Spooky Street and set of rewards will launch on PBS KIDS’ popular virtual world, Kart Kingdom. Hands-on activities, including pumpkin-carving templates with favorite PBS KIDS characters, are also available on PBS Parents. This fall, PBS will also offer PreK-12 teachers an easy way to integrate Halloween themes into their instruction with a range of curriculum-aligned videos, lesson plans and games. Teachers can use these resources to enhance homework assignments and kick-start classroom discussions. These free resources cover a range of subjects and are available to teachers nationwide on pbslearningmedia.org. Featured resources include PEG + CAT’s Tiger Trick or Treat, All About the Holidays: Halloween, Frankenstein, M.D. and The Zombie Autopsies. Find these resources and more in the new Halloween collection. This Halloween is sure to be the spookiest ever for Arthur and his friends. While trick-or-treating, Francine meets an old woman with a very mysterious past, while Binky finds himself at Mr. Ratburn’s amazing haunted house (that’s scarier than math class!). Muffy and Bailey decide to cut through a dark, rainy cemetery. And as for Arthur, Buster and Ladonna? Their tree house sleepover seems to be haunted…but by what? “Haunt Squad/Safe House in the Woods” – In “Haunt Squad,” Odd Squad is haunted by a ghost. In “Safe House in the Woods,” Owen and new recruit Ozlyn wait out a storm while transporting a dangerous creature. “Yuck or Treat/The Thing From Above the Reef” – In “Yuck or Treat,” after visiting a spooky cave, Splash and his friends visit the spookiest place they know, the cave of the old hagfish, who lives deep in the abyss. Then, in “The Thing From Above the Reef,” Dunk gets spooked by a creature in his home and thinks it’s a monster, only to discover a Baby Sea Urchin who is hiding from a giant “Thing” that circles in the waters above the reef – Mayor Sting! A new Halloween episode marks the premiere of CYBERCHASE Season 11! “Watts of Halloween Trouble” – It's Halloween Haunt-O-Rama on R-Fair City, and Hacker has a wicked treat up his sleeve: to keep the kids out of Cyberspace forever by crashing Motherboard’s portal system. But when Buzz and Delete make a mistake, the portal system crashes too late, and the kids and Digit are trapped on R-Fair City! Now, the kids must find enough energy to power Digit’s portal rebooter and keep the amusement park going. But with the celebration in full swing, can they find big and small ways to save enough energy? And can they get back to Earth again? 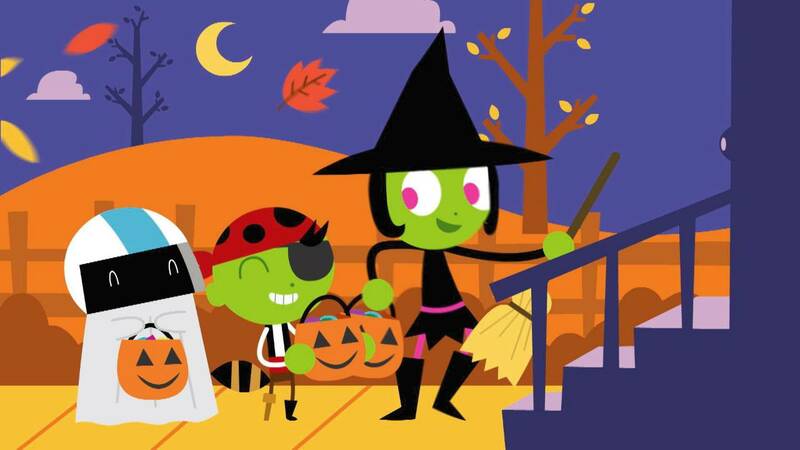 Halloween-themed episodes from PBS KIDS favorites will also be streaming all month long on PBS KIDS digital platforms. These specials will air on the PBS KIDS 24/7 channel and live stream in October.